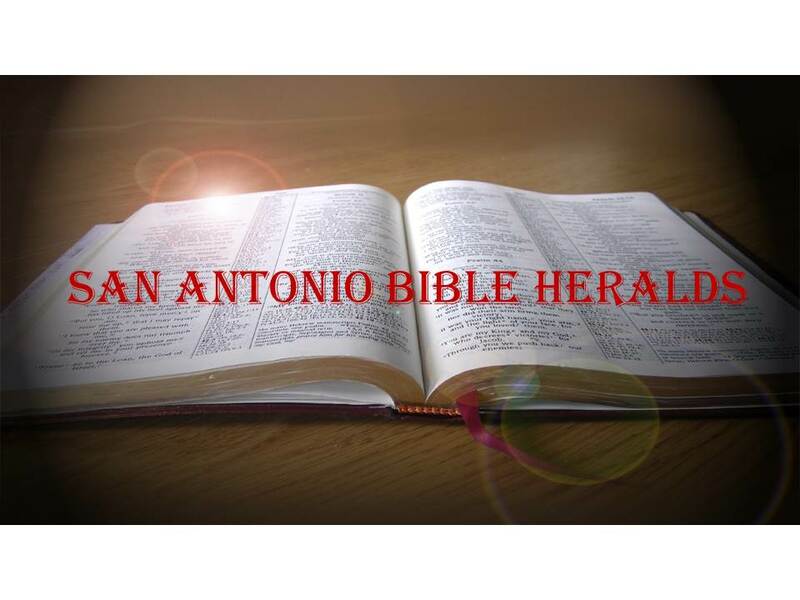 San Antonio Bible Heralds: "Sola Scriptura"
The reformers insisted that religious practices were to be performed based on five primary “solas”: Sola Scriptura (Scripture Alone), Sola Gratia (Grace Alone), Solo Deo Gloria (Glory Only to God), Solus Christus (Christ Alone), and Sola Fide (Faith Alone). Although there has been plenty of controversy as to what exactly the reformers meant by each of these “solas,” the intent behind their formulation was the belief that the Bible was a sufficient guide for faith and practice, that faith was all the alien sinner needed in order to come to God, that God’s grace covers us, that all we do should be done to God’s glory and that only Christ’s sacrifice can atone for our sins. You will no doubt have your own ideas as to the rightness of the reformers’ beliefs and practices concerning each of these ideas. However, here I want to concentrate on the first of these principles: Sola Scriptura. The Lord promised the apostles that the Spirit would guide them into all truth. But, where is that whole truth? How do we determine what that truth is? Some will tell us that we find it in the Bible and oral tradition. Others will tell us that it is in the Bible and in other “inspired” writings. If you poll ten people in a given church, you will get ten different answers as to what role the Scriptures play, or should play, in their lives. It is unfortunate that even in churches where the authority of Scripture is emphasized, so many are so ignorant of them. If the Scriptures are, in the words of the reformers, the sole rule of faith and practice, then it behooves us to become very familiar with its contents. But why scripture only? How do we know what the correct scriptures are? How did we get them? Why not “tradition”? It is beyond the scope of this short essay to delve into deep matters of historical import dealing with the canon of Scripture (I will do so in a future installment). But history tells us that many church councils “changed their minds” about several issues. 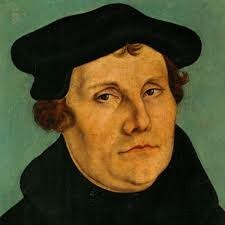 Arianism is just one of the examples we could cite. Whereas the Council of Nicea, rightly, concluded that the Scriptures speak of Jesus as being of the same substance with the Father, subsequent councils reversed that decision and it was not until the middle of the fifth century that the matter was finally settled. Based on that, therefore, you can begin to see why trusting councils, churches or other human institutions rather than holding to the word as sole authority for life and worship will lead us astray. Another, very vivid, example will serve to make the point of the dangers of abandoning scripture alone. I was listening to a debate the other day between two “Christians.” I enclose the word in quotes because, though both speakers claimed to be believers, one of them was shown to be, as the debate unfolded, obviously not. And what did this “Christian” explain about his beliefs concerning the Bible? That it was simply a 2,000 year old document that contains ideas on how God can speak to us, but that He does so, not through such a document, but through our experiential knowledge. Based on that belief, therefore, he went on to postulate that such thinking has led him to many of the ideas he has, including how a variety of activities that at one time were widely recognized as sin should be embraced. The religious world is full of examples of how abandoning the authority of Scripture will lead us astray. When you begin to add to the authority of Scripture, you will begin to add all sorts of teachings and heresies. After all, if you have other sources of authority you can basically make them say whatever you want. Who can contradict you if you have your own source of authority? We will never go wrong if we follow the example of Jesus Christ. Whenever the Lord engaged in any of his exchanges with hostile Jews, he did not appeal to their traditions as authority. On the contrary, he condemned those traditions in a scathing manner and appealed to the Word of God as the only authority to be followed. We certainly cannot do less than the Lord himself. His disciples followed in his footsteps by appealing to the Scriptures hundreds of times as they wrote their gospels and letters. And when Paul was about to be martyred by Nero in the mid-60’s AD, he did not point Timothy to the traditions of the church to be secure and safe in the faith. Rather, he directed him to the Word “which is profitable for doctrine for reproof and for correction, that the man of God be perfect and thoroughly equipped for good works.” (2 Timothy 3:17) How about you?